Tai Chi means ‘Supreme Ultimate’ in the sense that it is the best possible exercise or skill. Tai Chi is a martial art and a branch of Qigong. I tend to say and write Tai Chi because that is how it is generally known, but I mean it in the sense of also incorporating many aspects of Qigong. My interest is in the health benefits, not to practice Tai Chi as a martial art. There are many different styles of Tai Chi. Qigong and Tai Chi have a long history in China and for centuries it has been the favoured exercise, villagers gathering in a park or open space to practice together at the same time every day. As Tai Chi spread throughout China some villages and families developed it in different ways. As a result many have their own local variations or styles. Today a few styles dominate, such as Yang, Chen and Sun, although new styles, such as the Beijing and Hun Yuan have been recently developed. 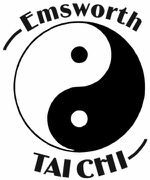 I teach the Yang Tai Chi Style which is very well known and popular in the UK. Each style has different forms. The form is a sequence of movements changing from one posture to another by way of connecting movements and it may take between six and twenty minutes to complete. The Yang Short Form that I teach has thirty-seven different postures (some repeated) and takes about six minutes to perform. This can take up to a year to learn and is an excellent exercise for the memory!